The original St. Ives Apricot Scrub is the first facial scrub I ever used when I was younger. I loved its fresh and fruity scent and how clean and soft my skin felt after using it. So when I heard that St. Ives was releasing a new exclusive scent at Target — St. Ives Rise & Energize Coconut & Coffee Scrub — I made sure to check it out on my last trip. I mean, coconut + coffee, how could I resist?! 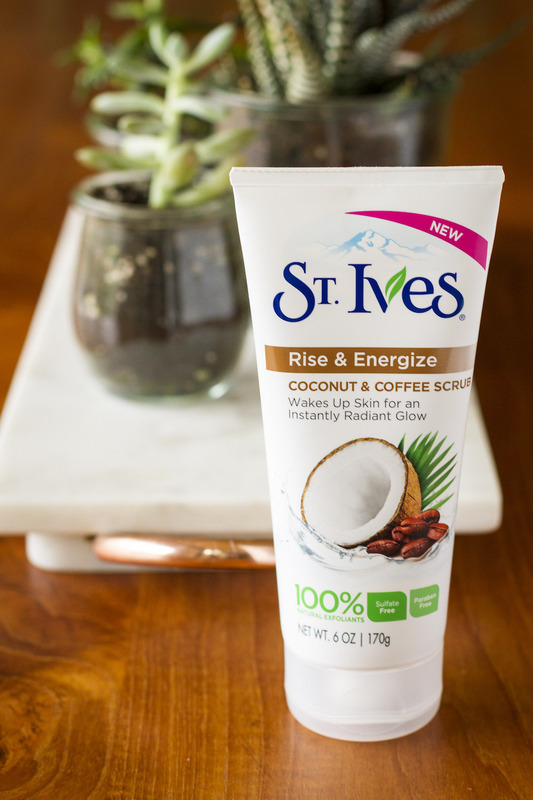 There are SO many other things to love about this Coconut & Coffee scrub beyond the scent, though… For instance, St. Ives uses only 100% natural exfoliants (like walnut shell powder and coconut fruit extract), and it’s also sulfate and paraben free! And of course, it’s Dermatologist tested. I love how radiant, soft and smooth my skin feels after using St. Ives Rise & Energize Coconut & Coffee Scrub. I like to just keep the tube in the shower so I remember to use it the recommended 3-4 times per week. This also make rinsing my face clean easiest — this way I don’t end up with bits of walnut shell stuck in my hairline. 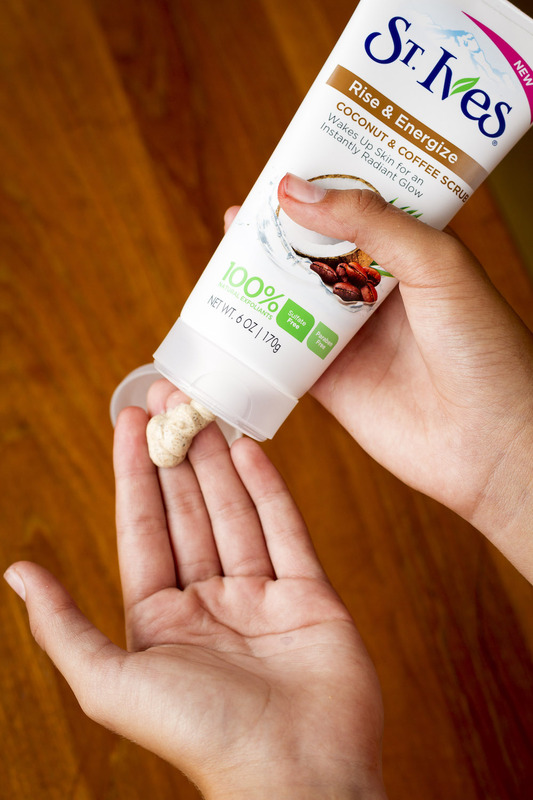 To use: Squeeze a dime sized amount of scrub onto your fingertips and massage onto damp skin. Spread in small circular motions, applying gentle pressure to wake your skin’s natural circulation. Work all over, right up to your hairline and onto the sides of your nose. When you’re done, rinse and pat dry with a clean towel. Want to give this fabulous face scrub a try for yourself? 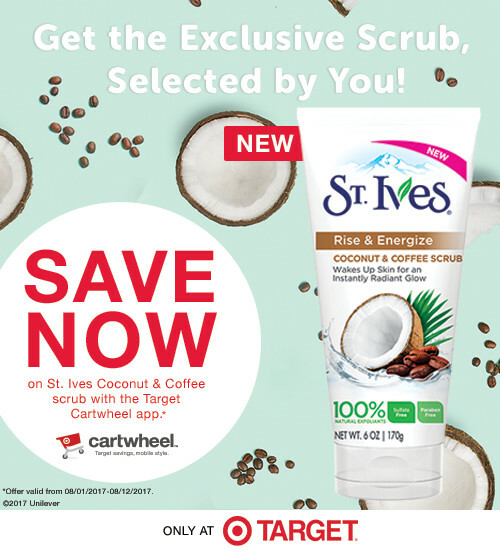 Right now at Target, you can save with a 5% off St. Ives Rise & Energize Coconut & Coffee Scrub Cartwheel coupon! 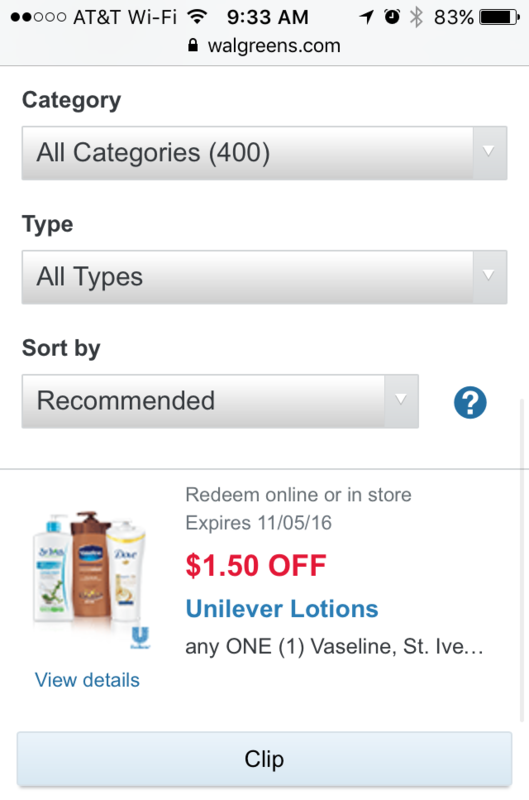 There’s also a recent RedPlum insert coupon and a Target gift card offer that you can stack for maximum savings. $1.04 ea. 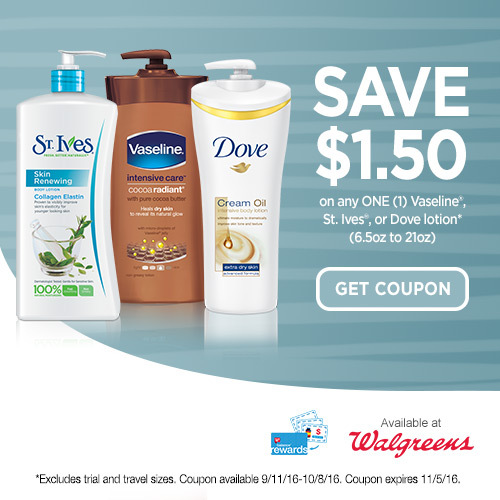 wyb 4 after 2 coupons + Target GC! 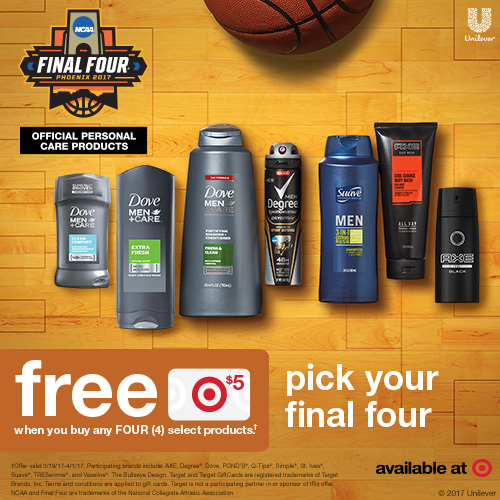 This is a great way to get one to use now and a few for later… You know, since this Coconut & Coffee scent won’t be around for long. I think you’ll love it, too!! !